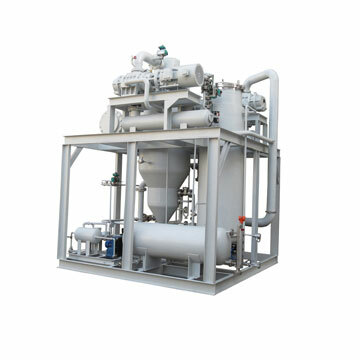 MVR is the abbreviation for mechanical vapor recompression.MVR is a technology to re-use energy of the secondary steam produced by itself, thereby reducing the demand for external energy technology. Early in the 1960s, Germany and France had successfully used the technology in industries, such as chemical, pharmaceutical, paper, sewage treatment, seawater desalination. Its working process is low temperature steam being compressed by the compressor, its temperature and pressure and enthalpy being increased, and then entering into heat transfers for condensation, to make full use of steam’s latent heat. Except starting, the whole evaporation process needs no steam.